Welcome To The Fellowship Is Here! 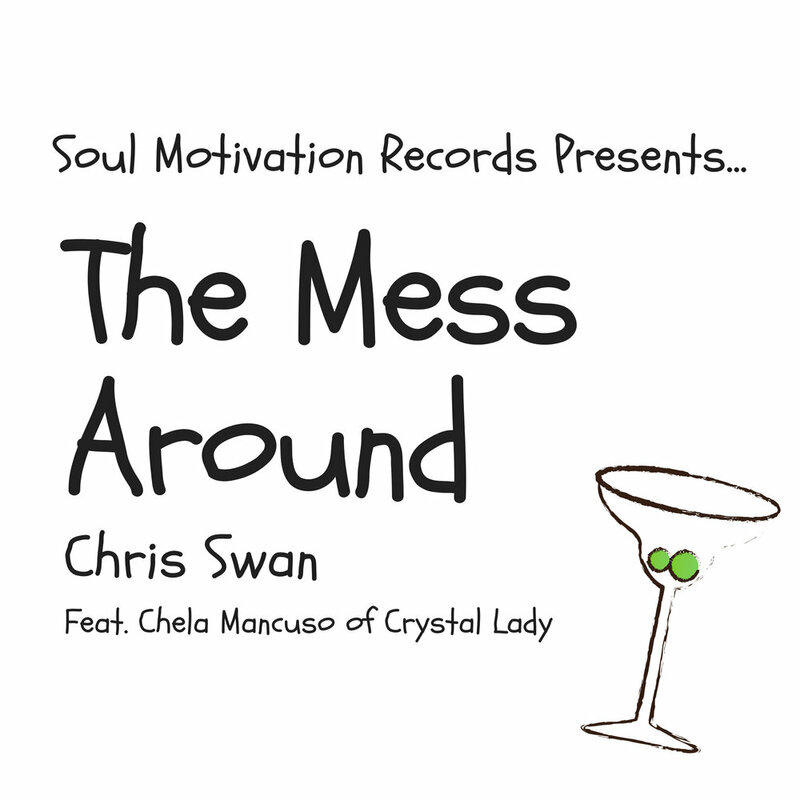 Chris Swan’s sophomore release from Soul Motivation Records! Welcome To The Fellowship contains 10 songs that chronicle Swan’s story of struggle, recovery and ultimately hope! “My mission with this record is to help others overcome their obstacles and to find the hope that is waiting for them,” says Swan. Here’s a behind the scenes look at the making of Chris Swan’s sophomore release from Soul Motivation Records - Welcome to the Fellowship! Fear rules so many of our lives. Sometimes it’s silly little things like being scared of mice. That’s me. Mice really freak me out. But sometimes the fears are bigger and much more damaging, like the fear of what other people think of us. We are so scared of not being accepted by people that we become overly cautious of what we let people see of ourselves. As life goes on, we start stock piling secrets like an apocalyptic survivalist hoards water and canned goods. The only difference is our stash is going to kill us, not save us. The truth is people have way more empathy than we give them credit for. People want to see our flaws because it makes them feel better about their own. It also bonds us and brings us closer when we make ourselves vulnerable and share our inner most secrets. Finally, we can’t continue to hold onto these secrets and expect to stay healthy and sober. This is precisely what has made us so sick in the past and if we expect to continue on a path of bettering ourselves, it is crucial that we put everything out on the table. It’s time to clean out our closets. Our lives and our relationships depend upon our honesty and transparency. We need to not let fear rule us. We need to push on through and let the world see who we really are. It will help us experience a freedom like no other and people will love us for it. P.S. I am giving away three of my most popular, inspiring songs for FREE. Just enter your name and email below and I’ll send them to you right now! Get 3 free songs of recovery and hope! Click here to get three free songs of fellowship and hope! Welcome To The Fellowship Preorder Now Available! Welcome To The Fellowship, the newest album from Chris Swan, will be released to the world on November 6th, 2018! That is so long to wait though, right? You can preorder your copy right now! And the best part is this - if you preorder today you save 20% on the album PLUS you get to download 3 singles from the album immediately after purchase! How awesome is that? Click here to preorder your copy of Welcome To The Fellowship! I can't wait for you to hear this album. It's all about my recovery from addiction including the struggles, the pain and best of all the hope! Be sure to hit the button below and preorder Welcome To The Fellowship today! Welcome To The Fellowship Is Coming Soon! Chris Swan’s sophomore release from Soul Motivation Records is coming November 6th, 2018! Welcome To The Fellowship contains 10 songs that chronicle Swan’s story of struggle, recovery and ultimately hope! Hit the button to pre-save it on Spotify today! Pre-save Welcome To The Fellowship on Spotify! Click here to pre-save "Perfect" on Spotify! Click Here To download a free song of hope! I owe you an apology. I'm sorry I walked away from you all those years ago. I just couldn't handle how much you had changed. When we met, you use to inspire me with your clever lyrics and thought provoking prose. You use to make my day better with your infectious beats. I remember, spending entire days hanging out with you. Back in the day, I use to lose sleep because I was so excited for my Columbia House CD's to arrive. I knew with each package that was delivered to my house, you would deliver to me so much truth, hope, joy and excitement. I knew every time you showed up at my house, I was going to learn something new. I was going to experience something I've never experienced before. And I would be inspired and challenged to create my own songs that were even half as good as the ones you gave me. You became bitter and dark. You began to focus entirely on the negatives in the world. You began to lose your wit and wordplay that use to inspire me so much. Soon, all you wanted to talk about was girls, jewelry and money. It seemed like all you cared about was immediate gratification because you saw the world as messed up beyond compare. And don't get me wrong, I like all those things too, but come on man. There's more to you than that. Look, I know you've been through a lot. I know you have had to watch a lot of injustice done to you, your friends and your family. I know you've been pissed at the world. And I totally understand why. I'm pretty pissed too, sometimes. But I know there is still hope inside you. I know the world is not a perfect place, but you always helped me see the better side of people. You always helped me see the good that still exists in the world. And I need you now. We all do. More than ever. I'm not saying you can't go out and fight some battles. That's part of your responsibilities too. But please don't turn your back on all the good stuff. And please don't let people make you part of the problem. You are above all that. And it's time to show the world who you really are. I'm really sorry I didn't understand all this better all those years ago. I was young and naive. Instead of trying to understand you better, I just gave up. I should have stuck with you and encouraged you all this time, but I thought you had given up so why shouldn't I? You've always been there, trying to figure this all out. I can't control you. You are free to be who you want to be. So I am going to let you be free. I promise I will always look for the good in you because I know it is always there. And I'll be here with you during the bad times too. Right by your side. Rooting you on. Thank you for being such a huge part of my life. I'll never leave you again. And I really believe you were meant to change the world. I'm here to help in anyway I can. Click here if you love hip-hop and want a free song of hope! "I don't even miss how it use to be." Click here to pre-save "The Mess Around" on Spotify!